THE ART SCHOOL TOLDKAMMERET/BILLEDSKOLEN TOLDKAMMERET. Would you like to explore how to become more free and experimental in your creative work? Do you often felel blocked and restricted in your way of expressing yourself? Then this course might be for you. Over two weekends, Marie J. Engelsvold focuses on your awareness, your ability to immerse yourself, and on how to expand your artistic and creative way of expressing yourself. 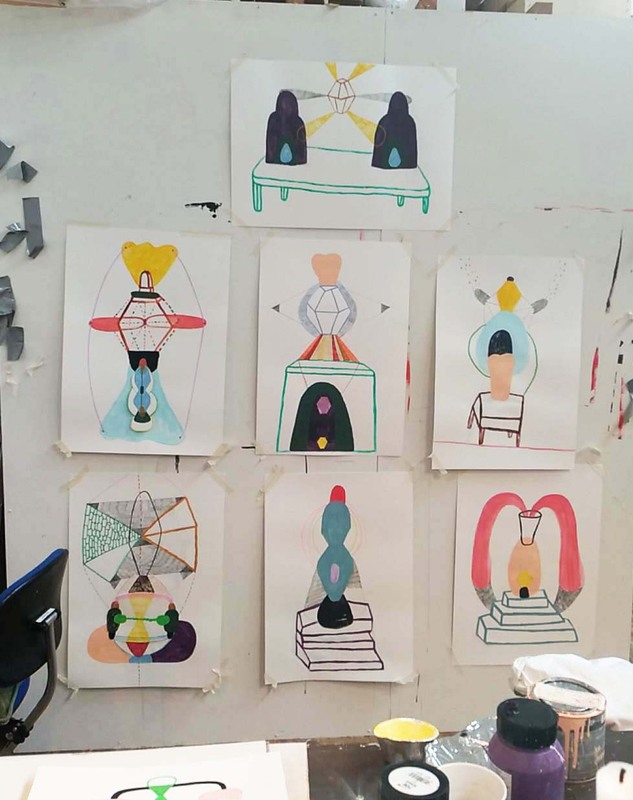 On the course you will be aware of the various stages in the creative process, and thus being abel to work your way through the blockages, that are part of the creative process. 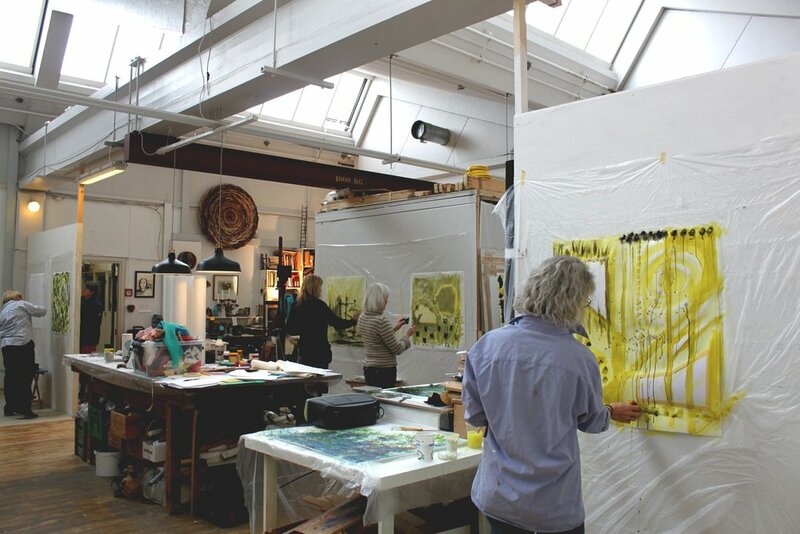 At the course we work with an extended form of drawing and collage, and you will be presented with various techniques and materials. Acrylic paint, acrylic markers, pencil, coal, cardboard, cardboard, textiles, foam rubber, yarn, tape and more. Saturday May 11 at. 10 a.m. to 4 p.m.
Sunday May 12 at. 10 a.m. to 4 p.m.
Saturday May 18 at. 10 a.m. to 4 p.m.
Sunday May 19 at. 10 a.m. to 4 p.m. The teaching is mainly in danish, but I can translate to english if necessary. Have a look at this video, where I’am showing my own creative process, and at the same time giving tips on how to move beyond the feeling of being stocked. We also attend workshops at our spacious studio "DET FLYVENDE VÆRKSTED" Teachers: Marie J.Engelsvold, Annette Wier, Åse Højer and Kirsten Ørgaard. Get tips on the creative process.